Home News & Politics	Why do Jews keep tearing down Black leaders? Tamika Mallory. Marc Lamont Hill. Alice Walker. Angela Davis. Every week seems to bring with it another black leader running afoul of the Jewish community — and an angry, effective response. 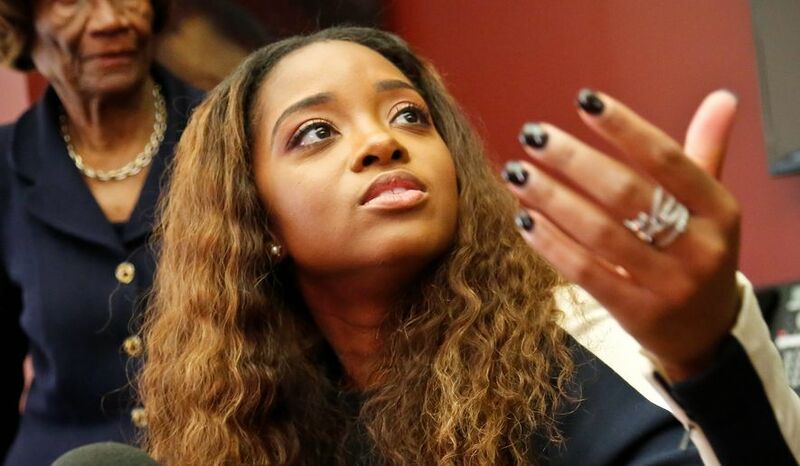 Mallory’s refusal to denounce the notorious anti-Semite Louis Farrakhan, a man she had previously praised, led Jewish activists to call for her to resign from the Women’s March, calls which eventually erupted into a huge media maelstrom. Hill warned an audience at the U.N. not to romanticize non-violence in the case of the Palestinians, and used a phrase viewed as a dog whistle popularized by Hamas: “From the river to the sea, Palestine will be free.” Walker was quoted in the New York Times praising another notorious anti-Semite. And most recently, Davis had an award rescinded when members of the Jewish community, along with others, opposed the award thanks to her pro-Palestine activism. I’m struggling with how to think about this, how to feel about it. On the one hand, Mallory, Hill and Walker have said some truly problematic things that have caused real distress to members of the Jewish community. Surely, every Jewish voice raised in anger at Walker’s inclusion in the paper of record was just in its outrage. And I wouldn’t want to silence a single person who felt appalled as I did when Hill justified violent resistance against Israelis, urging his audience not to “endorse a narrow politics of respectability that shames Palestinians for resisting” and not to “romanticize or fetishize” peace. And surely, someone who has praised a man who called Jews termites can be expected to later denounce him. Even Davis denied Jews imprisoned in the Soviet Union any compassion, while finding common cause with Rasmeah Odeh, who confessed to assisting in the murder of two Israeli civilians in a horrific terror attack. On the other hand, these are hardly comparable offenses. Many Jews have come to the defense of Davis, Hill, and Mallory, Jews upset that in the angry responses to these figures, there has been no distinction made between Walker’s straight out anti-Semitism and Mallory’s refusal to denounce an anti-Semite — hardly the same thing. And certainly, Angela Davis is no anti-Semite; even her detractors have stopped short of smearing her as one, and her affinity for Odeh, who insists her confession was the result of torture, stems directly from Davis’s work opposing political incarceration all over the world. Nor has there been a distinction made between Walker’s anti-Semitism and what Hill later clarified was a call for a non-Jewish, binational state instead of Israel — which is really anti-Zionism rather than anti-Semitism. It all lends to a spectacle of an insensate mob out to attack any and every black leader. And I feel sickened by it. When did Jews become the face of attacks against the black community? When did we abandon the sacred legacy of Rabbi Avraham Yehoshua Heschel marching across the Edmund Pettus Bridge, Torah scroll in hand? How must this look to the Black community, to say nothing of Black Jewish members of our own community? In fact, this tearing down of black leaders has bled into tearing down black Jewish leaders in a recent spate of horrific, racist screeds against vocal black American Jews in Israeli publications.